Our mission is to empower you to achieve more. 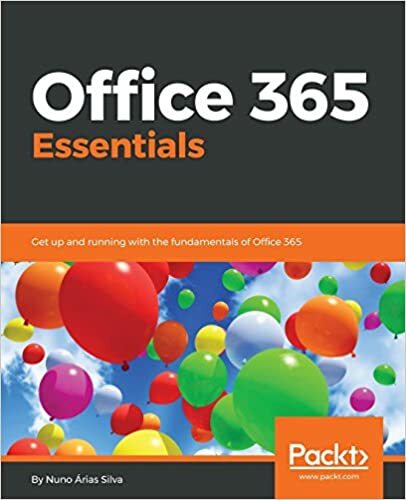 For Office 365 IT administrators, this means improving the experience of the Office 365 Admin Center so that it is more delightful to use, by making it more intuitive, informative, scalable and insightful. We started with a clean sheet and looked at how we could truly modernize the experience. We focused on simplifying the dashboard and how you access the tools. We targeted on making it easier to complete common tasks without having to leave the dashboard—whether it’s adding a new user, resetting a password or even simply checking your monthly bill. By focusing on making the experience more intuitive, you will achieve more by quickly getting through your needed administrative tasks—no more searching. We realize that technology can be complex, and you may not be familiar with all the terminology and tools that are available. We are here to help by providing more informative ways of accomplishing your administrative tasks. We will introduce you to new features as they become available and provide detailed guidance so that you can easily follow the latest changes. Since we are still early in our journey, there is much more to come. We are continuing to invest in providing you with tools to help you drive your organization to achieve more. Even though we are simplifying the experience, we are by no means removing capability. You will have the ability to customize your dashboard to surface the tools that are the most relevant for your organization. The left navigation menu lets you dive deeper into the advanced tools and controls and continue to give you access to specialized portals, such as the Exchange Admin Center. For Office 365 admins that require more advanced functions, your features will still be there. In addition, we are also investing in helping your organization become more productive. Office 365 can only help your organization achieve more if your users are using the tools. To help you ensure that your users are maximizing your ROI in Office 365, we will begin surfacing reporting usage dashboards that will help you get a better view of how your organization is using Office 365. If you need additional information, you will have the ability to drill down to get details so that action plans can be devised. We will continue to invest in providing more tools to inform you of how your organization is using Office 365. Today we are embarking on a journey to improve your administrative experience. The rollout will start with a set of small business and First Release customers. We are looking for your feedback so that we can continue to shape the product into something that will truly help you achieve more. Things will change and there will be updates as we learn from your feedback and get further down the road. Join us on the journey of helping you do more in Office 365. Stay tuned to Office Blogs and the Office 365 Roadmap for more information. Q. When will I see the new Office 365 Admin Center Preview? A. The Office 365 Admin Center Preview will start rolling out today to customers who have opted into First Release as well as some of our small business customers. Q. How do I access the new Office 365 Admin Center Preview? A. If your Office 365 subscription has the new Office 365 Admin Center enabled, you would need to sign in to the Office 365 Admin Center with your Office 365 administrator credentials. The preview to the new Office 365 Admin Center can be accessed in the banner at the top of the Office 365 Admin Center dashboard. Q. How do I provide feedback? A. There is a feedback widget on the bottom right corner of every screen. Please feel free to continually send us your comments. Q. Where can I find support in the new Office 365 Admin Center Preview? A. Support can be found in the classic view of the Office 365 Admin Center. Simply click the link at the top of Admin home in the new Office 365 Admin Center Preview. Q. I can’t find all the features I need such as Message Center in the new Office 365 Admin Center Preview? A. Since we are still very early into the journey of the new Office 365 Admin Center Preview, you can simply get back to the classic view of the Office 365 Admin Center by selecting the link at the top of Admin home in the new Office 365 Admin Center Preview.